We are offering you a choice of two different raft trips. 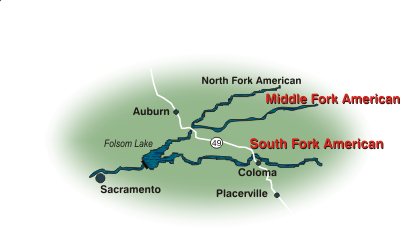 The first option is 2 days on the Class III South Fork American rafting the 13 mile Lower Gorge Section on Saturday followed by the 8 mile Upper Chili Bar Run on Sunday. The second option is a combination trip rafting the Class IV Middle Fork American Run on Saturday and the Class III Upper Chili Bar Run on the South Fork on Sunday. Note: The Middle Fork is a more adventuresome trip, limited to only 24 participants and recommended for rafters with previous experience. 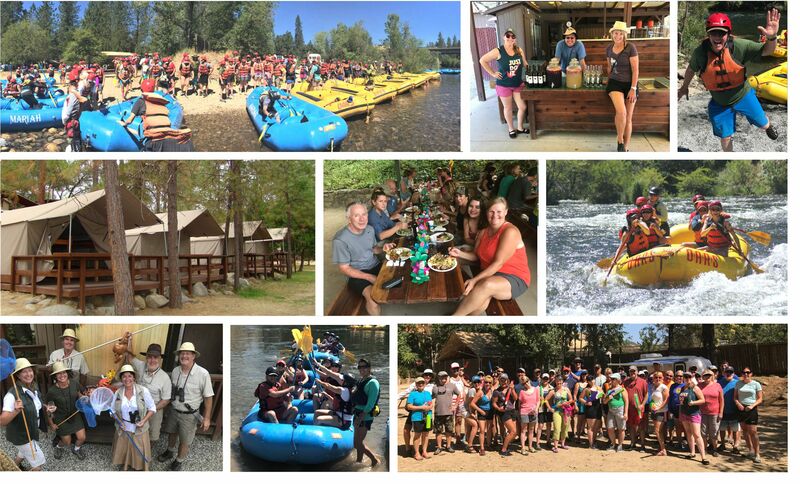 Join Staff and friends from Wilson, deLorimier and Matrix Winery on an exciting weekend of whitewater rafting and luxury camping on the South Fork American River in the lovely Sierra foothills. Featuring the wines of Diane and Victoria Wilson, the fun begins Friday evening with a Welcome Wine Tasting Reception with music. Trip includes your choice of either the 2 day Class III South Fork American River trip OR the 2 day Class III and IV Middle Fork-South Fork American Combo, two nights camping (bring your own camp equipment or see below for rental information), five meals from breakfast Saturday through lunch on Sunday including a special themed dinner and party on Saturday night featuring wines from Wilson, Matrix and deLorimier Winery plus a special Welcome Wine Tasting Reception Friday evening with music. 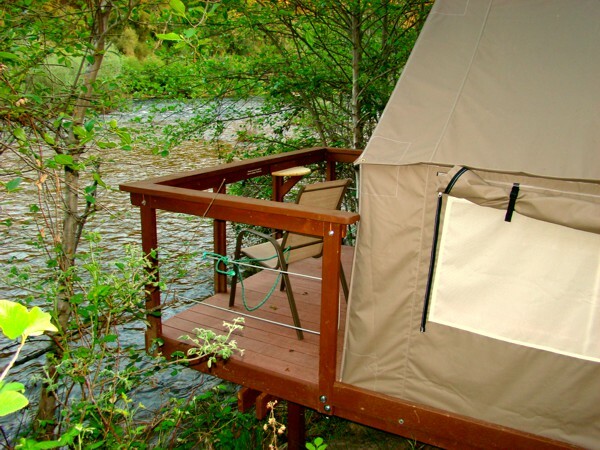 As of 4/05 our river tents and cabin tents (except for 2 large group tents) are booked and the MF/SF Combo is full. 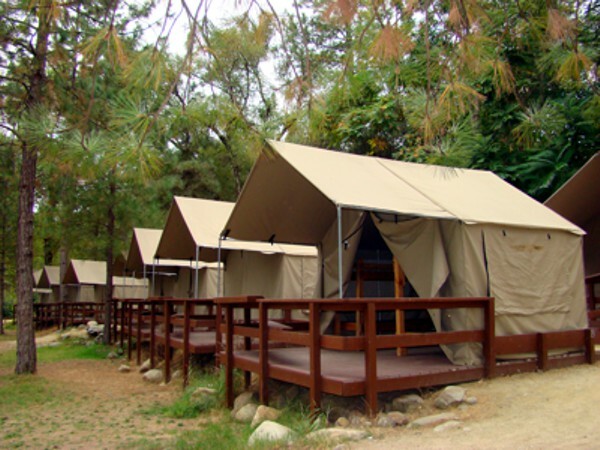 Dome tents are available to rent. Note: Minimum age to participate in this special weekend trip with Wilson, Matrix and deLorimier Winery is 21 years of age. RESERVATIONS: To make a reservation copy and paste one of the above reservation numbers into the box at the upper right corner that says 'add to an existing reservation' and then push GO. Fill out our trip application and complete your credit card payment. For the 2 day South Fork trip you will be charged a deposit of 25% of your trip cost and the final payment will be automatically charged 30 days prior to the trip. Because of strict limited space on the Middle Fork American we will need to charge the full payment for the Middle Fork-South Fork Combo trip. If you would like to make alternate payment arrangements contact EarthTrek Expeditions. PLEASE NOTE: Due to limited space on the MF Combo, there will be no refunds if you must cancel, unless your space can be rebooked.